Oh, I'm not afraid of the darkness. I don't mind an absence of light. or things that go "bump" in the night. or tentacles under my bed. or creatures come back from the dead. or even a vampire's bite. except when you turn off the light. 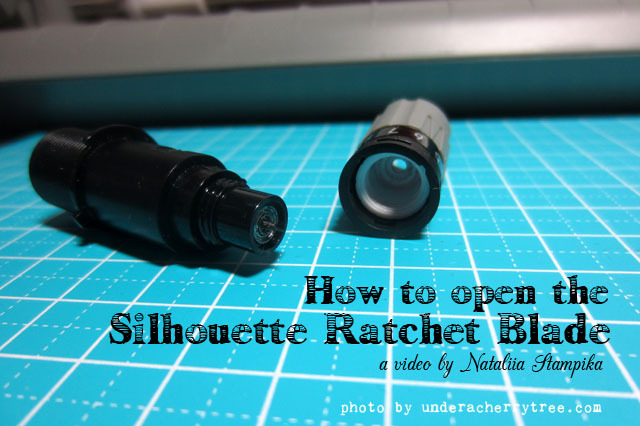 One of the main complaints about the Silhouette ratchet blade is that it cannot be opened so that the tiny bits of papers that get trapped inside cannot be removed. Nataliia of Stampika has figured out how to open it so that it can be cleaned out. Nataliia has kindly allowed me to share her video here. You can also find it at this YouTube link or on her blog where there is also the original German version. Thank you, Nataliia! Warning: Use your own discretion if you want to attempt to open your blade. It is sharp and can cut. After all, it IS a cutting blade so please be careful and don't cut yourself in the process. A graphic can come in several formats like .jpg or .png and a graphic has no cutting path. In other words, if I should send it to the cutter, it wouldn't be able to cut the image out because there are no cutting lines. 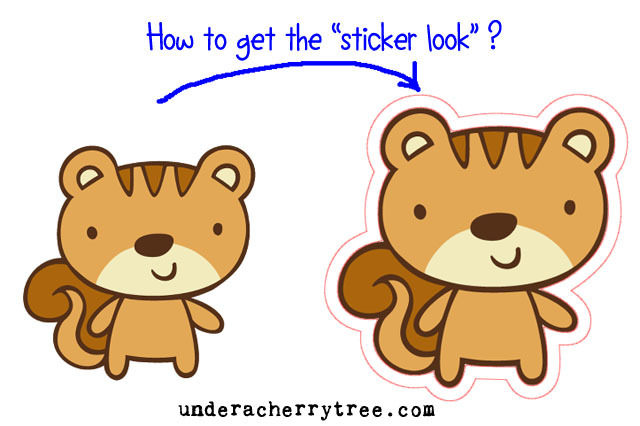 In order to get the cut lines, we will have to make a trace and it is from that trace that we can get an offset so as to get, what I call the "Sticker Look". I make offsets in almost all of my print-and-cut projects. 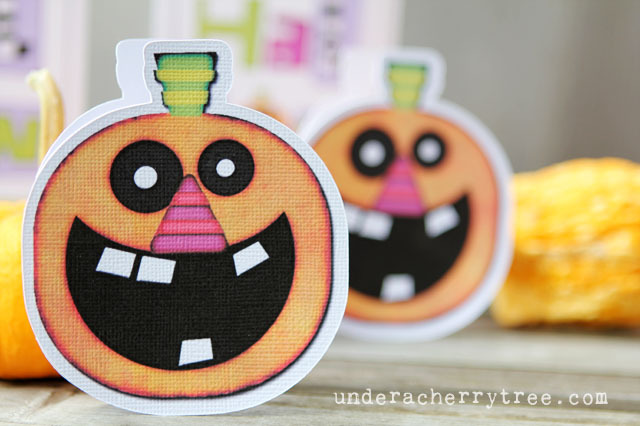 An example would be my Slumber Party Stickers and the Halloween Note Cards. 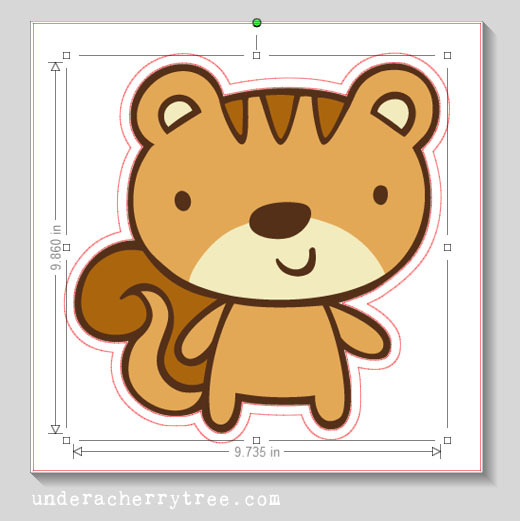 The squirrel image that I am using is a graphic from the Nancy Kubo Mommy & Me Graphic set. Since it came in the PNG format, I have to make a trace in order to get its cutting path. How to trace a graphic image. 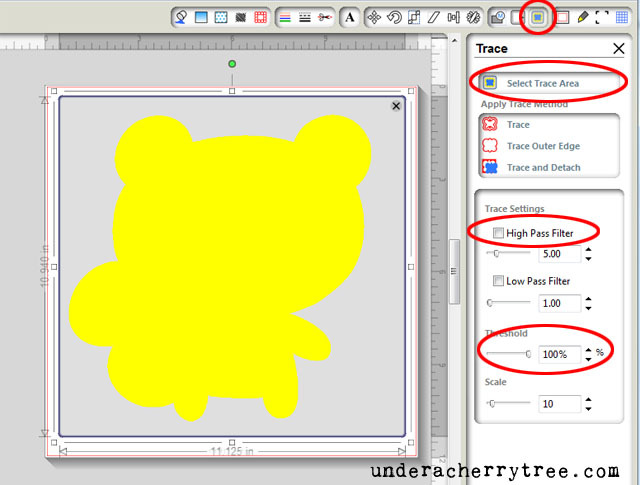 - Click on "Trace Outer Edge"
Once I have a trace, I will be able to make an offset. Now, here comes the tricky part: Because there isn't a Layers menu in Silhouette Studio, it can be challenging to tell which layer is being selected. One way of figuring that out is by reading the dimensions. 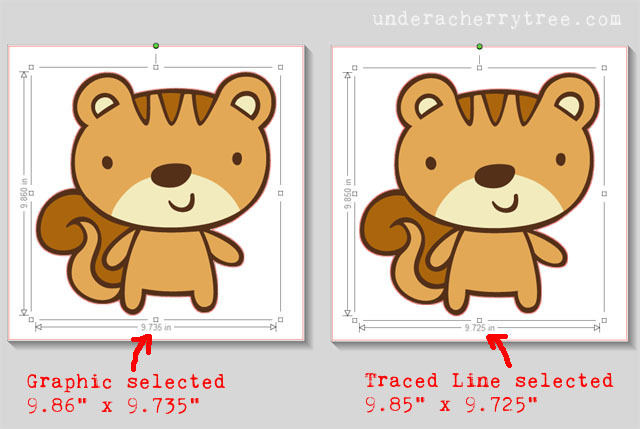 Since the graphic and its traced lines have different sizes, I know that I have clicked on the traced line when the dimensions change. However it can be tricky trying to find the magic spot that will select the trace line instead of the graphic. 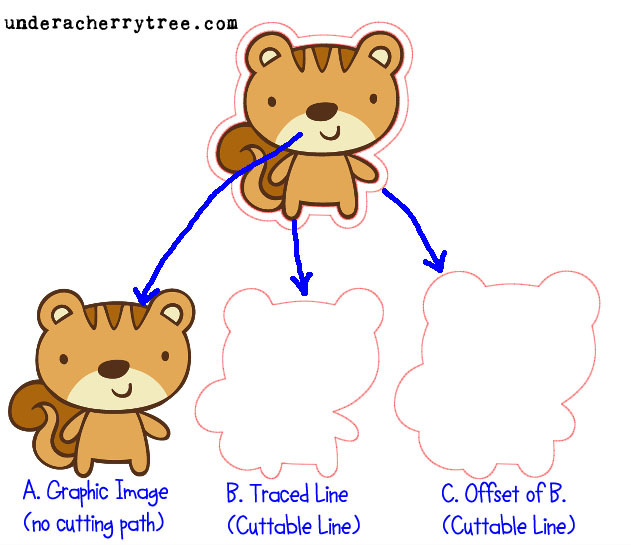 There is another method of selecting the Traced Line. It is much easier in that there is no guesswork or trial and error involved. Step 1: Right-Click on the graphic and Copy. Delete the graphic. DO NOT move or change the position of the traced line until the graphic has been returned (as shown later in the tutorial). 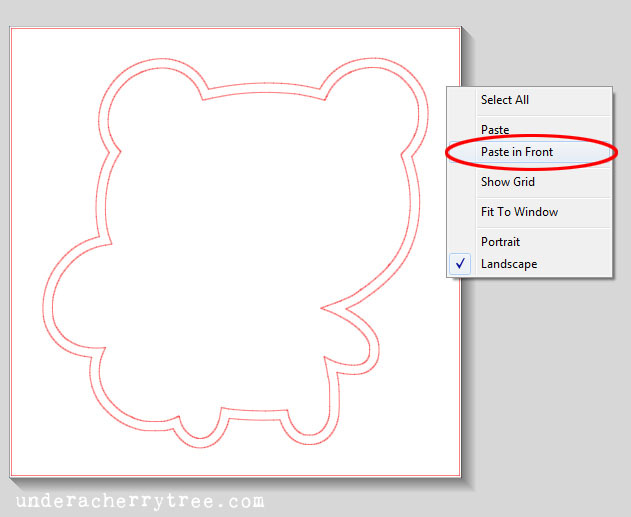 Step 2: Click on the Traced Line and make the Offset. 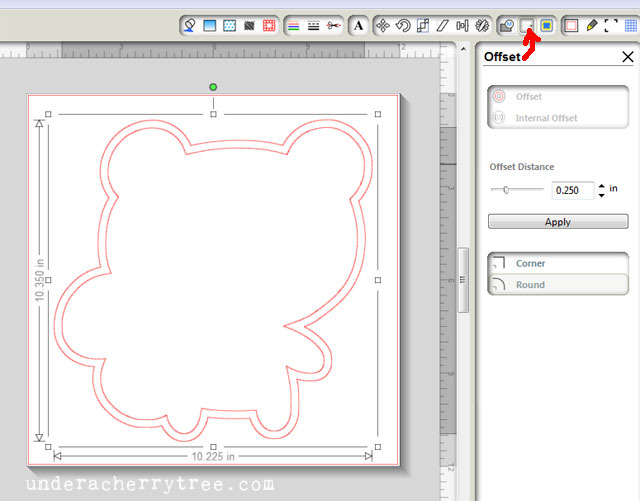 After you have made the Offset, if you don’t intend to have the cutter cut on the traced line, you can delete that away or set it to No Cut. Step 3: Right-Click and select Paste-in-Front to bring back the graphic. That was so much easier than clicking randomly and trying to find the "magic spot", wasn't it? For those of you who prefer to see this in action, CLICK HERE for the video tutorial. 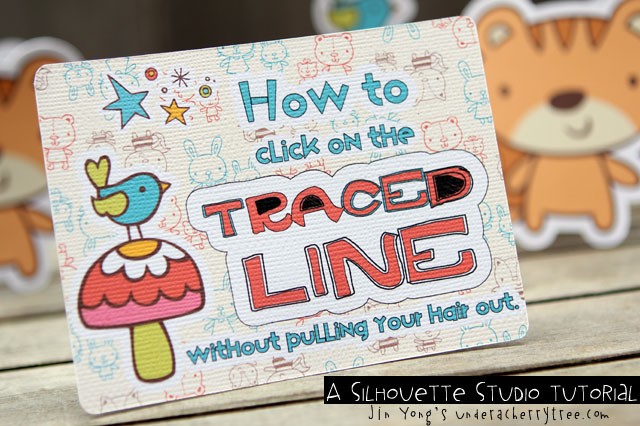 Hope that today's tutorial saved you some time and frustration from trying to click on the Traced Line to make an offset. 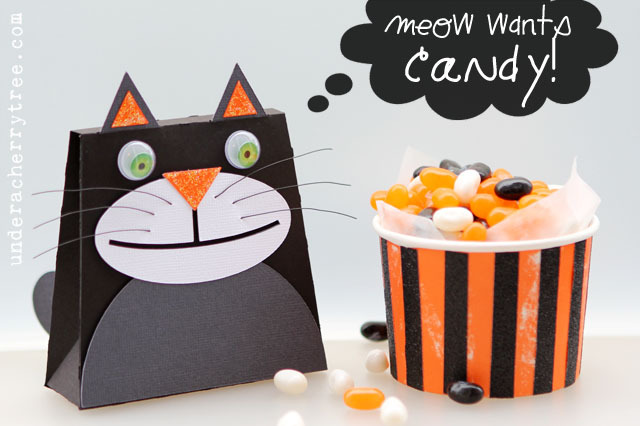 Nah...this post has nothing to do with fighting cats but a Google search on "Candy Cats nursery rhyme" came up empty, so I used what came to mind. Hey, it's a cold and wet Saturday afternoon and I should be able to get away with this. Ha! I used black beading wire (26 gauge) for the whiskers and used Stickles for glitter. 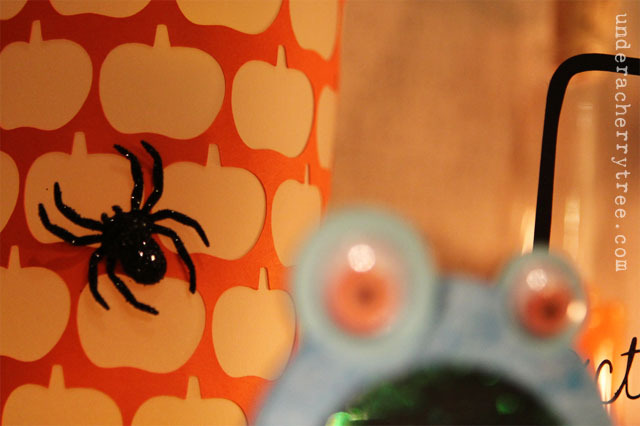 I bought the green googly eyes from the Michaels' seasonal (Halloween) aisle but if you can't find them, you could totally use regular googly eyes too. I do like the green ones a lot though. I'm off to make a couple more of these treat bags for the kids. Want to make some of your own? 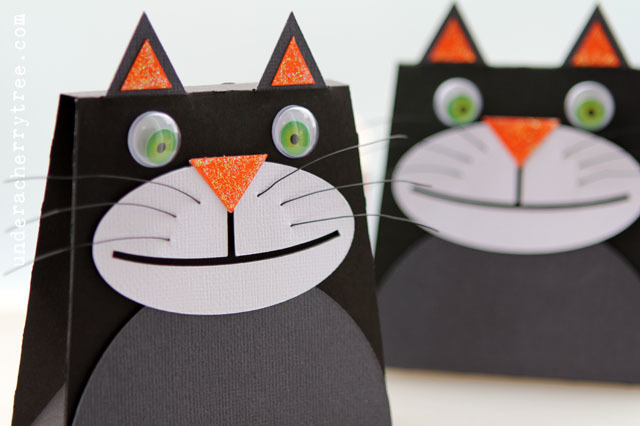 Just CLICK HERE to get the Backpacks Cut Its and use the black and grey paper for the cat bag. Woohoo!! Lettering Delights has hit the 25K Facebook Fans mark and they are celebrating by giving all of us FREEBIES!! CLICK HERE or the image above to get your free Hipster Party Cut It Set and Hipster Party Set. Just add them to your cart and check out. You pay $0! 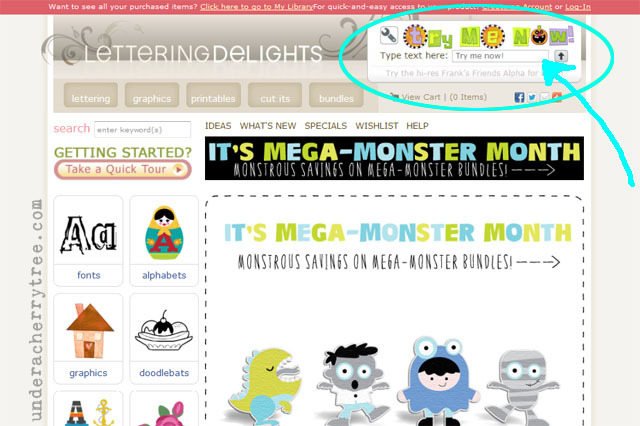 New Lettering Delights Coupon Code!! Plus New Graphic Set! There's a new graphic set out on the Lettering Delights site! 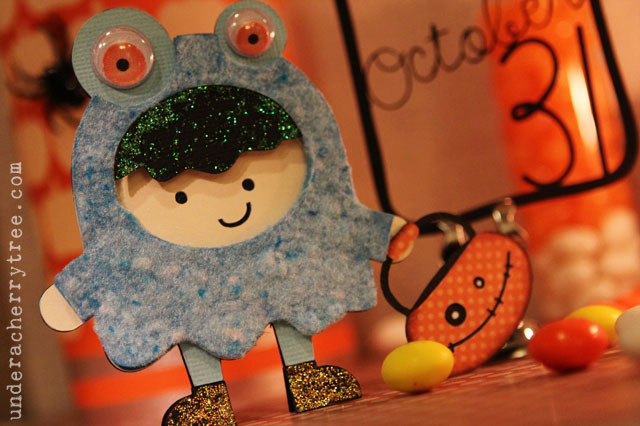 Hoppy Halloween is brand spanking new! 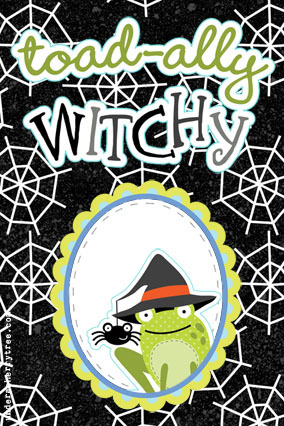 Also new is this coupon code: Use "HoppyHalloween" to take 25% off your purchase on the LD site. The Build-Your-Own Monster Bundle offer is still going on too. The more you buy, the more free stuff you get! You can even use the new coupon on your bundle to make the deal even sweeter! The promotion will end on October 31st so don't wait. Click HERE to get your Lettering Delights now! I had posted about this on my Facebook page yesterday but I know that some of you do not Facebook so I'm making a separate post here. Please bear with me if you are seeing this for a second time. 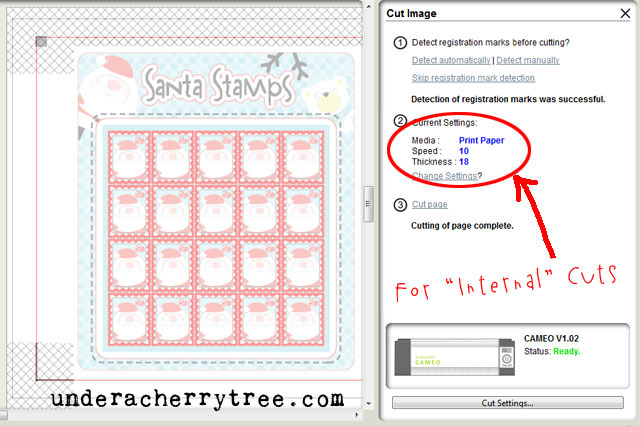 Even though I no longer use my Cricut cutters, I realized that many of you who read my blog still do. I'm posting this announcement for you in case you had missed it. Provocraft has stopped making the Cricut Cake and Cricut Imagine machines. To see the full text of the announcement, please click HERE. 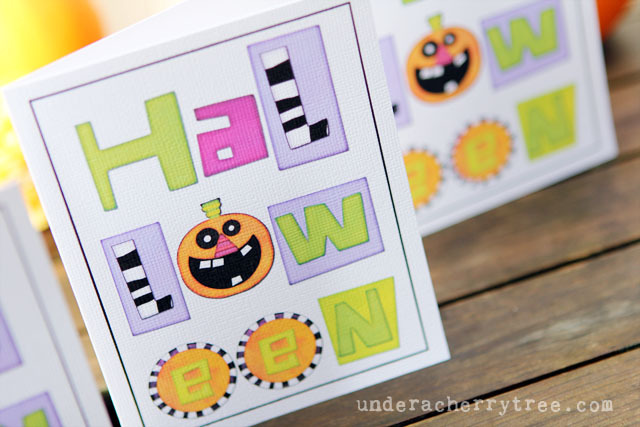 After having print-and-cut those shaped cards for my previous tutorial, I thought I would show you another example of what you can make with the same Lettering Delights Frank's Friends Alphabet Set . 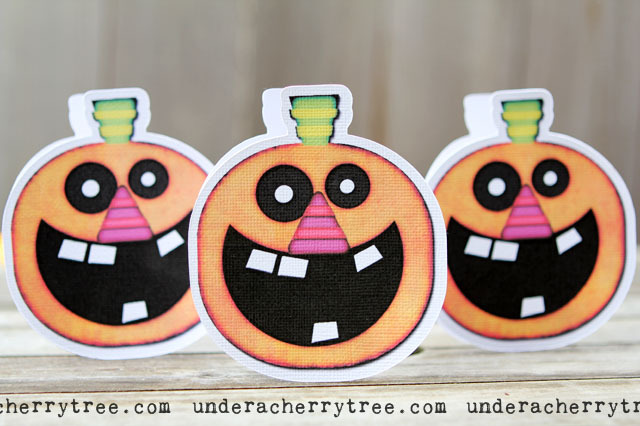 Yesterday I showed you how to use the Try Me Now tool to download the single pumpkin image. For today's card, I downloaded "Hal", "low", "e" and "en" separately. I would have preferred to download the last three letters together but the image ended up being partially cut off so I had to split them up. Once I have all the letters, I imported them into Silhouette Studio and resized and positioned/aligned them where I want them to be. I added a rectangle to frame the whole thing, copied it to fit two cards on one page, and proceeded to print. Since these are just A2 sized cards, I cut the printed cardstock with my paper trimmer instead of using my Cameo. 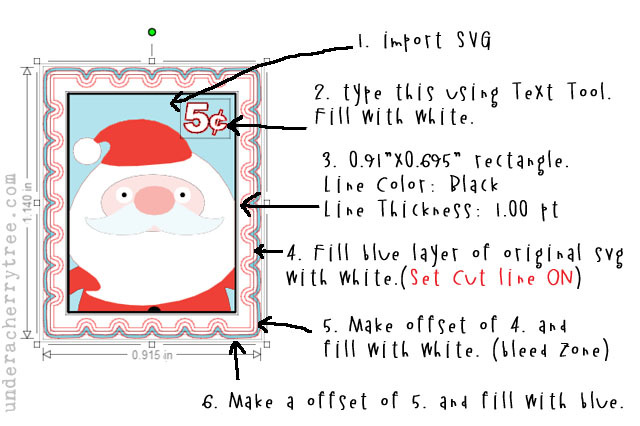 By the way, you can make these cards even if you do not have your cutter. 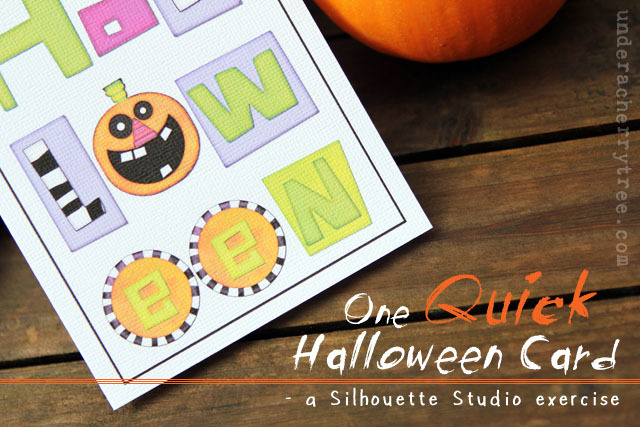 Just use the free Silhouette Studio program to design the card and print it out with your printer. If you have just ordered your cutter and do not have it yet, this project is a great way to get to know the software while you are waiting for the delivery of your machine. You can download the program on the Silhouette website HERE. 7 days from Oct 31st and I'm finally ready to start on my Halloween projects. 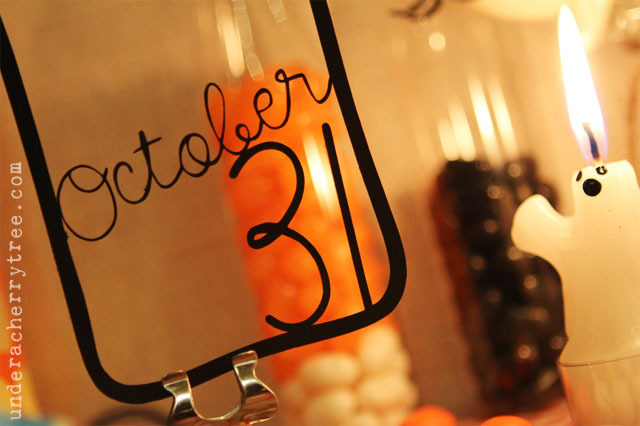 Unless the fake blood tutorial or the Booligan treat bags count, I am officially starting late this year. 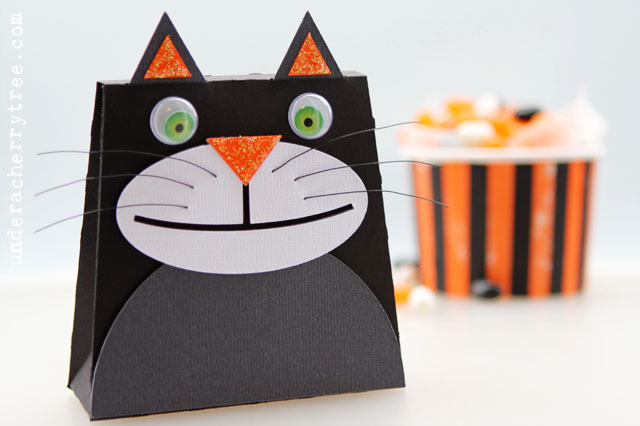 While I can't imagine paper-piecing goody bags for 3 classroom full of candy monsters kids, I sure can print-and-cut them out . Thank goodness for print-and-cut! 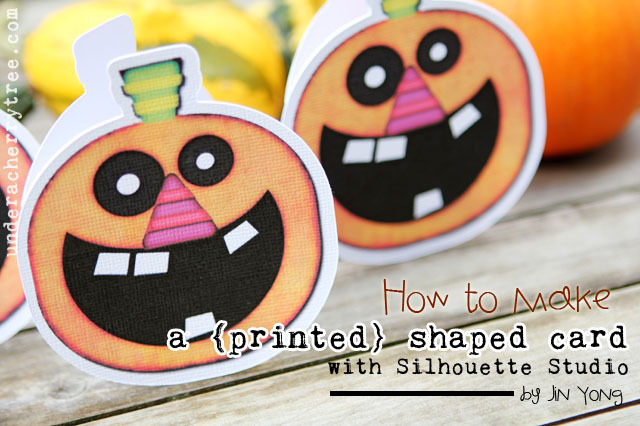 If you have never print-and-cut with your Silhouette cutter before, you are missing out on one of it's best features. I remember the first time I printed-and-cut with my Silhouette SD (when the Cameo was not yet available). I was amazed and totally giddy with excitement. 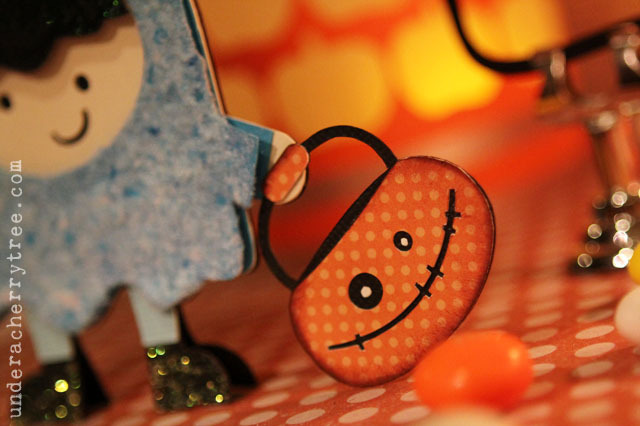 There are so many things you can do with print-and-cut that the possibilities are truly endless. 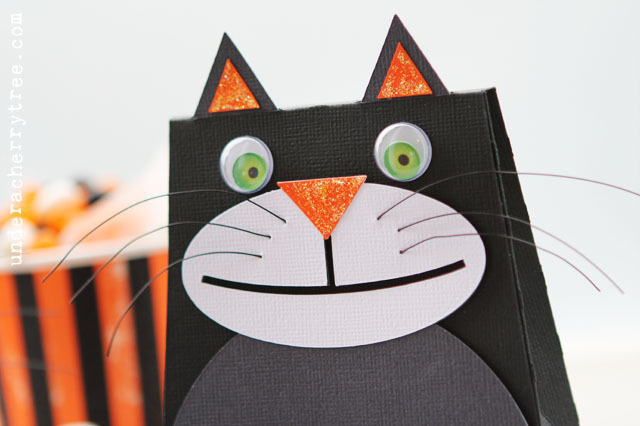 If you are new to my blog, I encourage you to check out my Tutorials Page to look at my Print-and-Cut tutorials. 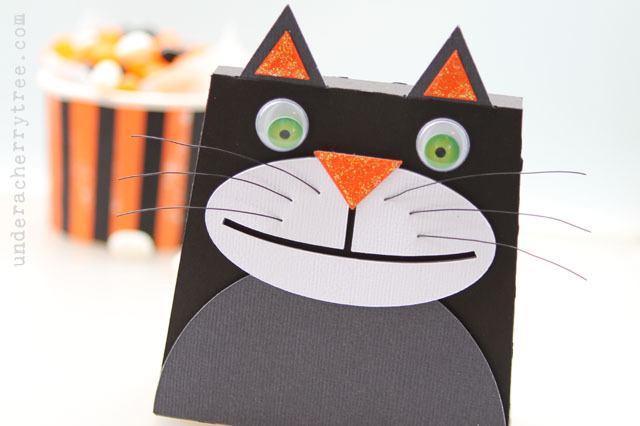 If you have never print-and-cut before, I hope that today's card will inspire you to bring your creativity beyond paper-piecing. 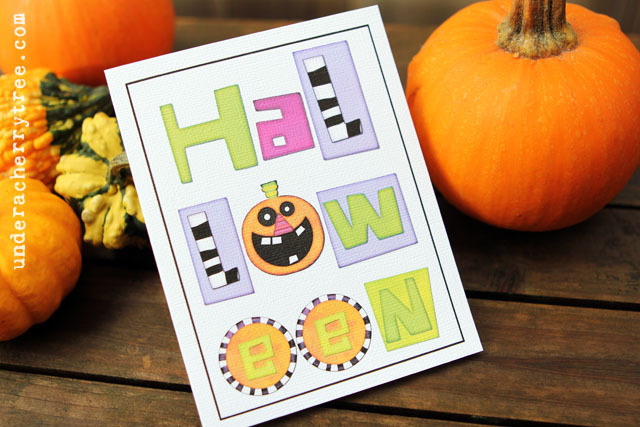 I am using Lettering Delights' Frank's Friend Alphabet to make today's shaped card. 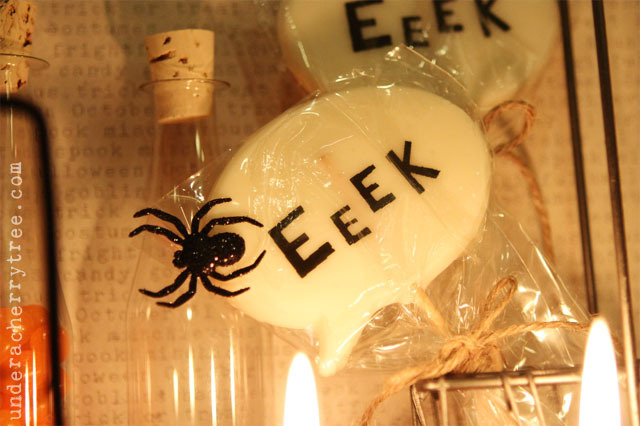 It is the free sample alphabet-of-the-month. 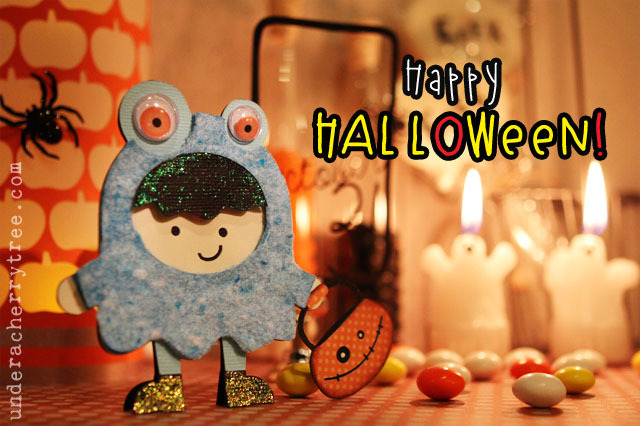 If you are reading this post after October 2012, click HERE to purchase the set so that you can follow this tutorial to make the card. 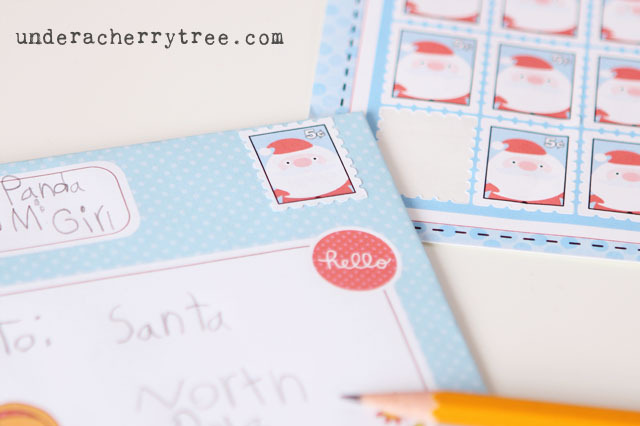 To download your free alphabet sample, just click on the Try Me Now box that is located on the top right hand corner of every page on the Lettering Delights website. Type in the lower case "o" in the text box and select "High Res (750 pixels tall-best)". Click SAVE to download the image of the jack-o-lantern to your computer. 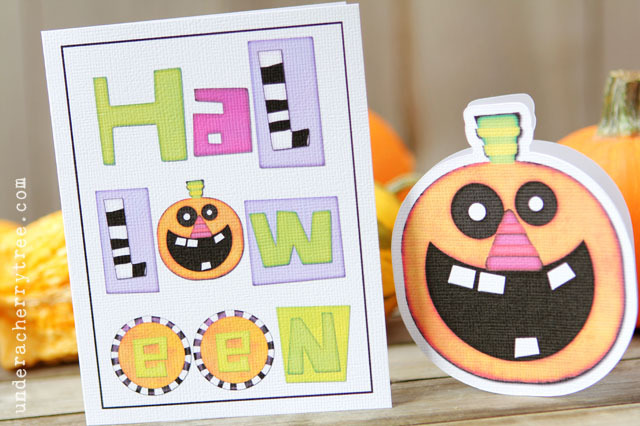 Once you have retrieved the download, just click HERE to watch the YouTube video where I will show you how to make today's printed shaped card. When Lettering Delights released the Little Ho-Ho-Ho-ligans the other day, I think I let out a yelp. No seriously, I think I did. 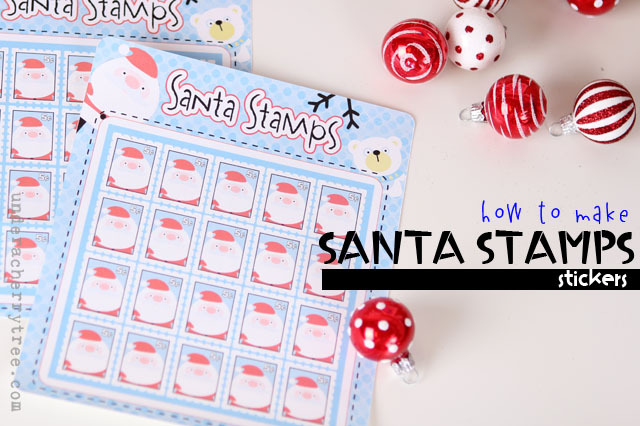 I have been making stickers like crazy and the moment I laid eyes on the postage stamp image in the Little Ho-Ho-Ho-ligans Accents, I couldn't be more excited. I knew exactly what to do with it. 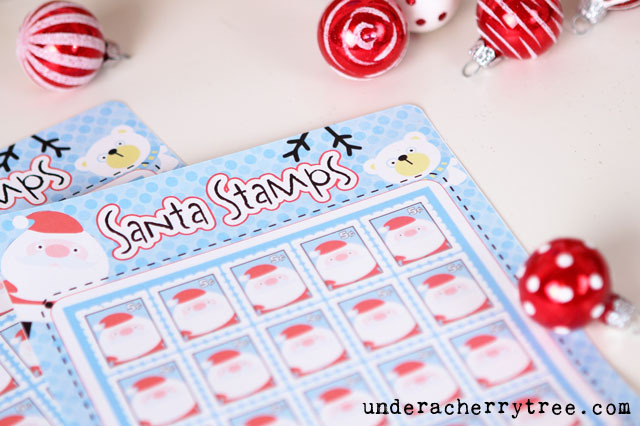 They are pretty easy to make but there are many repetitive steps in the process. Basically there are a lot of offsets, fill color, and turn off/on cut lines. 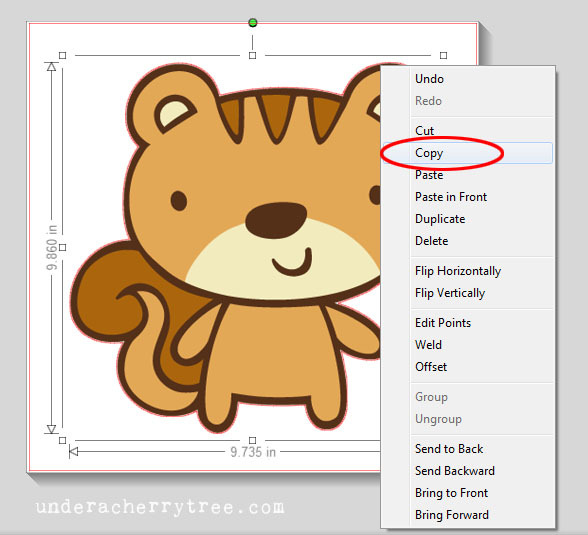 If you have mastered the basics of Silhouette Studio (e.g., Offset, Fill Color, Line Style, etc.) this project would be a piece of cake. I can't show you a full tutorial on making these stickers (too long!) but I am posting some tips here that should help you in case you want to try making some. 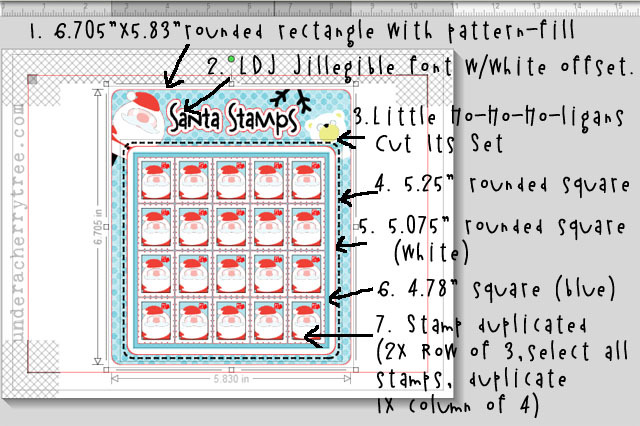 By the way, if you had missed my tip about the ¢ -symbol, just CLICK HERE to learn how you can add the ¢-symbol to your design in Silhouette Studio. 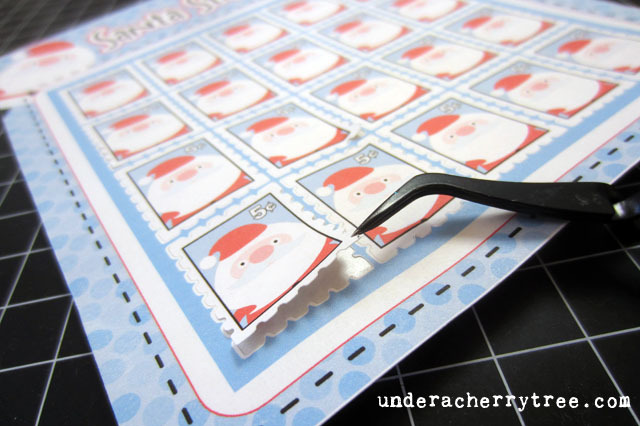 When preparing to cut out the stickers, use the settings of Blade 1, Speed 10, Thickness 18 to "kiss-cut" the stamps so that the backing paper is not cut out. 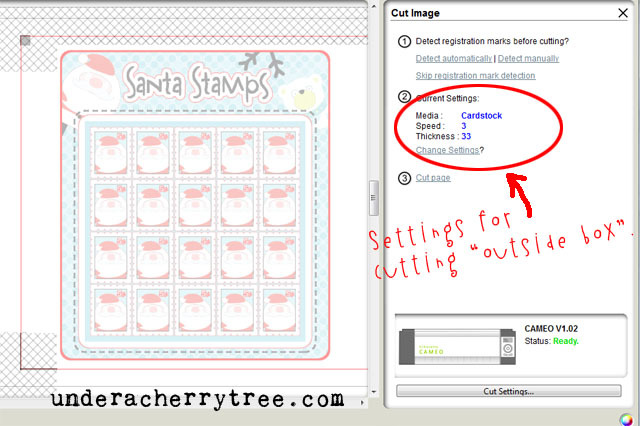 Before cutting out the outside rounded-rectangle, set the Silhouette Studio program to cut using the recommended settings for cutting heavy cardstock, or at Blade 3, Speed 3. Thickness 33. 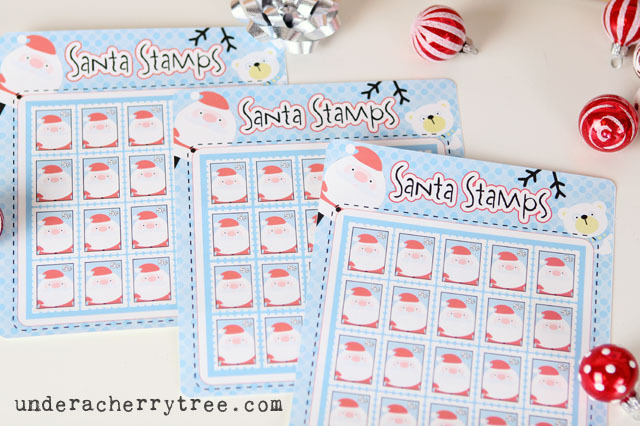 Sticker paper was purchased from Staples. You can find it HERE. WOOHOO!!! New Nancy Kubo Designs on LD! 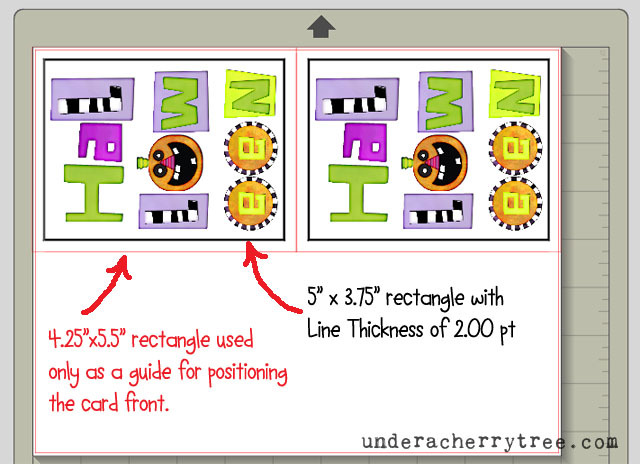 LD Freebie: You Rock Alphabet.